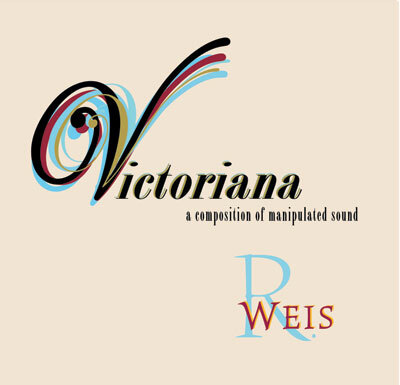 Victoriana – composition made from sounds of the artist’s 19th century Pittsburgh house. Exhibited: Mattress Factory Art Museum, “Gestures 12”, Pittsburgh, May 8 to June 21, 2009. 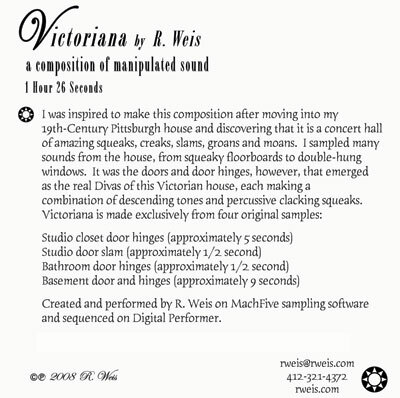 In 2010, Victoriana was presented at Pittsburgh Technology Council’s DATA Event where it won the Gateway to the Arts Award. In 2016, Victoriana was selected by The Listening Booth, an online gallery specializing in sound-based art and experimental music based in London, for its second collection.